Anyone else like to knit and read at the same time? The family tradition continues. 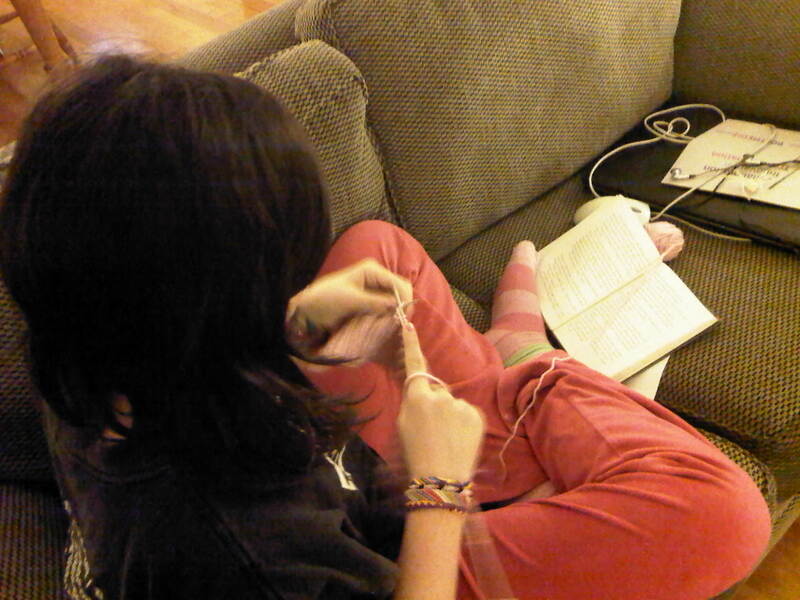 Reading a Percy Jackson book while knitting a hat.